In this article, we shall be addressing various ways to fix “iTunes could not restore the iPhone because the backup was corrupt or not compatible” issues. We will also analyze why these iTunes errors occur. 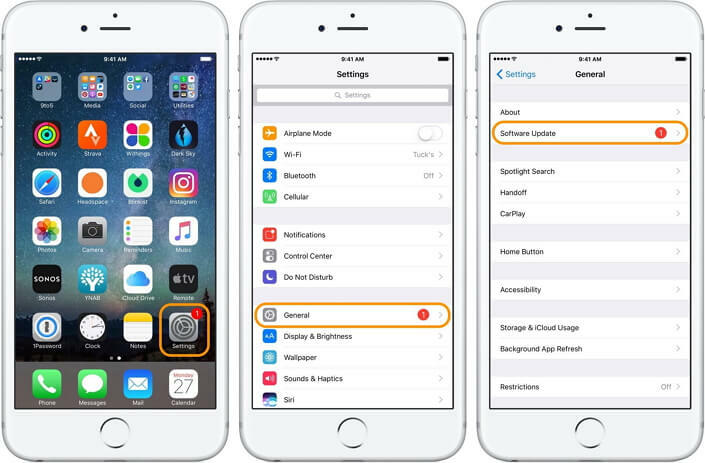 When you’re backing up your iPhone, iPad, or iPod touch, you may likely get the above error message, and you may wonder what causes the iTunes error. This error occurs when there is a problem with the previous backups. Therefore, it’s impossible for iTunes to restore your new iPhone from a corrupt backup. The solutions to this issue are shared in the following paragraphs. 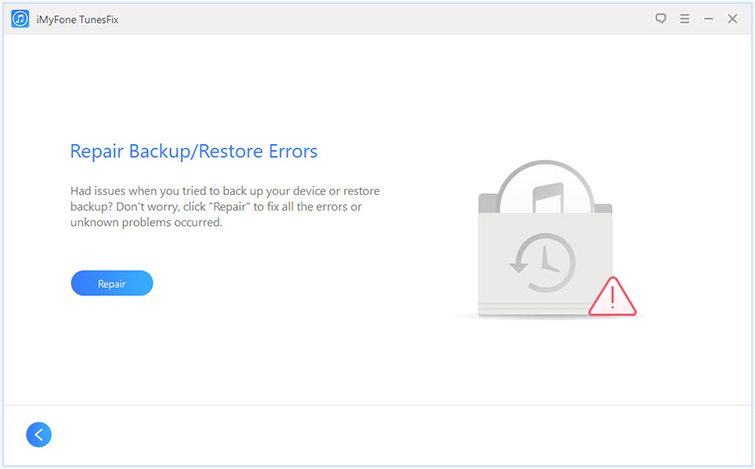 Part 2: Fixes for "iTunes Could Not Back Up iPhone Because Backup Corrupted or Not Compatible"
The following troubleshooting methods will help you to fix "iPhone backup corrupt or not compatible when iTunes could not restore backups". “iPhone backup was corrupted or not compatible” issue can be easily fixed when you have iMyFone TunesFix available. TunesFix is the leading iTunes repair tool that will handle all your issues with iTunes. According to its users, it’s very easy to use and very effective to fix errors. In general, iMyFone TunesFix is the primary fix solution for all iTunes errors and issues. Fix over 100 iTunes errors in one tap: backup/restore/install/update/connect/corrupt/running slow and other problems. iTunes data is well-protected when repairing. Auto-detect iTunes for free and show you the specific fixes. Speed up iTunes and PC by just cleaning iTunes cache, logs, temp downloads, corrupted files, etc. iMyFone TunesFix iTunes repair tool has been tested and reviewed by authoritative review sites, including ioshacker.com, WindowsInstructed, megebyte, etc. Note: If it shows you your iTunes is damaged, you can click Back icon to its home interface. Don’t worry, this issue will also be fixed when you fix the corrupted backups later. When it’s done, you can try to restore the backup again. The "iPhone backup corrupt or not compatible - can't restore backups" error that you are facing maybe coming from outdated iTunes. You’ll need to update your iTunes for the update and restore error to vanish. 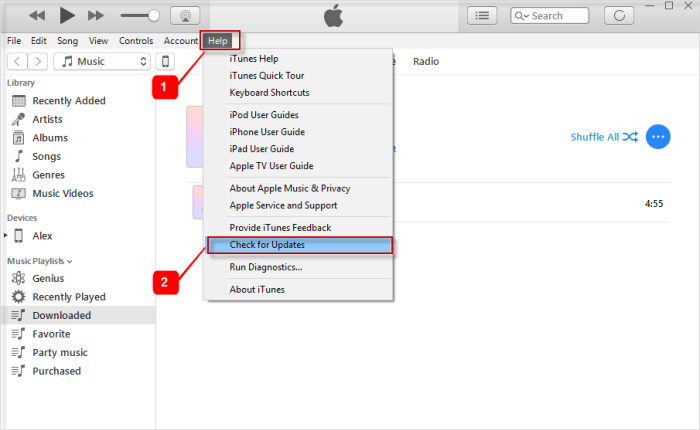 Follow the prompts to install the latest version of iTunes. Or you’ll need to update your iOS version for the update and restore error to vanish. Plug your device into a power source and connect to a Wi-Fi network. Go to Settings > General > Software Update > Download and Install. Click on Install, and then enter your Passcode to continue. When your update is ready, your iOS device will reboot automatically. If iTunes still could not restore iPhone, you may need to use an alternate backup or use iCloud backup. Fixes for "iTunes Could Not Back Up iPhone Because Backup Corrupted or Not Compatible"
You may also see the “iPhone backup was corrupt or not compatible” when you try to back up your iTunes. If you are in this situation, try the following fixes which would be helpful for you. As the previous backup was corrupted, you need to remove it from your iTunes first. Or you can’t bypass this backup error. You need to find the corrupted backup by yourself, if you have no idea where it stores, I suggest you use the iMyFone TunesFix. 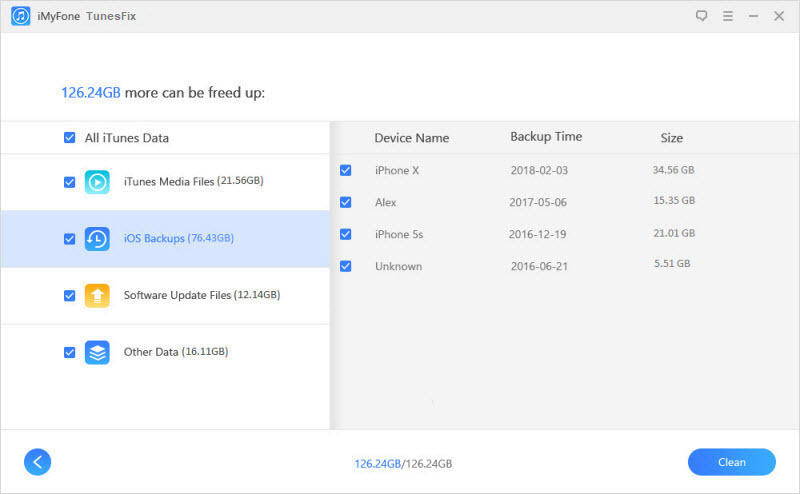 Its cleaning feature can show you the backup and allow you to remove it. Launch iMyFone TunesFix on your computer. It will start to detect your iTunes. When you are in the home interface, choose “Quick Clean”. Click “Scan” to let it continue. When it finishes, it will show you 4 categories: iTunes Media Files, iOS Backups, Software Updates, and Other Data. Double click on iOS Backups and it will show you all the backups made by iTunes according to the added date. Check the corrupted backup, click on Clean and it will start removing the checked data. It runs very fast to clean. After you delete the corrupted or incompatible iPhone backups from your PC, use iMyFone TunesFix to repair your iTunes. There would be unknown reasons hidden. You don’t need to know the reason, just let TunesFix take care of it. Launch iMyFone TunesFix on your PC and it will auto detect your iTunes. If your iTunes is error-free, you’ll be redirected to the Home interface. Choose a repair mode (in this case, you have to choose “Repair Backup/Restore Errors”). Click “Repair” and ensure you keep your internet stable. That’s it. It won’t take long. Just wait patiently for it to finish and then follow the next step. When your iTunes is repaired, you can try to back up your iPhone again. You would be able to finish the backup this time. 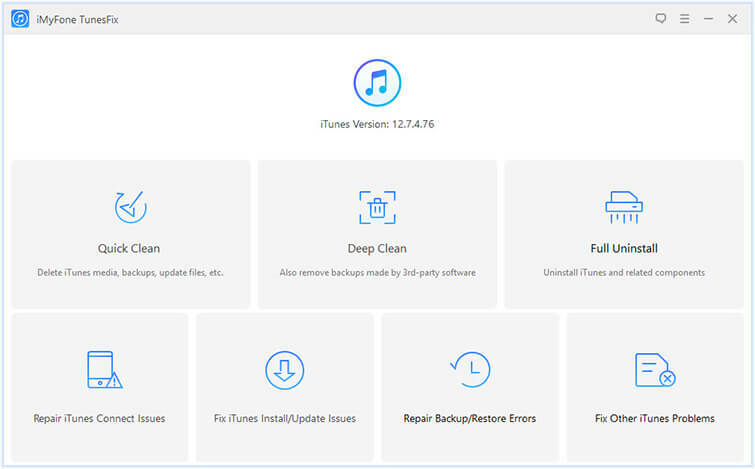 In general, no matter iTunes could not restore or backup your iPhone, iMyFone TunesFix can helps you get rid of the issue to ensure you can use your iTunes normally. Download TunesFix and give it a free trial whenever you have any issue with iTunes.